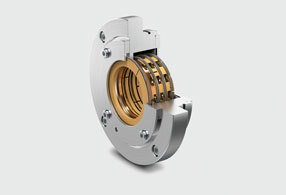 Redura® stands for unique, heterogeneous sealing systems based on our comprehensive portfolio of standard rings and specifically in-house developed and patented products. Optimized combinations of different ring designs provide superior sealing efficiency and longer lifetime for every application. 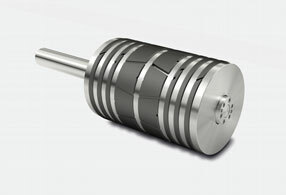 Dynamic pressure component results in a high degree of wear, failure by fracture or creep. Static pressure difference is the primary load parameter influencing the leakage rate. Pressure relieved or sealing systems with defined wear limit in the vicinity of the compression chamber to buffer the dynamic pressure difference. 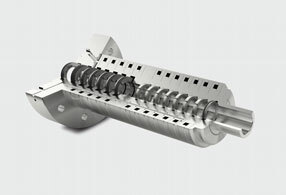 Subsequent gastight sealing elements are used to handle the static pressure. The packing cases of Burckhardt Compression accommodate a heterogeneous combinations of piston rod sealing elements that float within precisely machines chambers to provide ideal sealing functions, minimal friction and longest lifetime. Our packing competencies also includes complete solutions for any other brand. 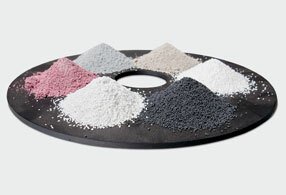 Our standard scope of supply determines the components and service of the packing. Contact our experts, we are pleased to upgrade your packing to the lastest technology. The respective pressure components have a major influence on the design of an efficient piston sealing system.The importance of the different pressure components and load conditions has led to the development of heterogeneous sealing systems to provide optimal sealing performance and lowest life cycle costs. 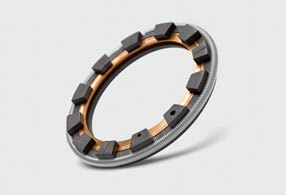 Redura® Piston Sealing Systems consist of an elaborate combination of different piston rings and rider rings. The meticulous combination based on the heterogeneous system approach allows each ring to fully deploy its optimum sealing efficiency while reducing wear to a minimum. Redura® Oil Sealing Systems are heterogeneously designed to meet the needs of today’s plant managers and operators. Giving confidence that the crankcase oil remains safely in the crankcase. In order to achieve maximum performance during oil-removal, the wiper ring design has undergone elaborate optimization processes. The great challenge here is maintaining the optimized wiper design over thousands of operating hours, since most often materials optimal for a favorable wiper design do not offer the necessary good tribological properties at the same time. Burckhardt Compression Hybrid Oil Wipers, this challenge has been overcome by using a strategy similar to that of razor blades: A special guidance mechanism made of a material with optimal dry-running properties protects the sensitive wiper blades from severe wear. As a consequence, the wiper geometry is kept stable, offering long-lasting high oil-removal performance.